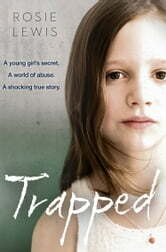 Trapped was a Sunday Times bestseller and the first memoir from foster carer Rosie Lewis. Phoebe, an autistic nine-year-old girl, is taken into police protection after a chance comment to one of her teachers alerts the authorities that all might not be what it seems in her comfortable, middle-class home. Experienced foster carer Rosie accepts the youngster as an emergency placement knowing that her autism will represent a challenge – not only for her but also for the rest of the family. But after several shocking incidents of self-harming, Pica and threats to kill, it soon becomes apparent that Phoebe’s autism may be the least of her problems. Locked for nine years in a secret world of severe abuse, as Phoebe opens up about her horrific past, her foster carer begins to suspect that Phoebe may not be suffering from autism at all. Knew it would come good in the end all these children need is love and attention and putti g on the right track well done. Another heartbreaking story by Rosie. Thoroughly enjoyed this book albeit with tears in my eyes a lot of the time. Great book but I was disappointed that it gave away information about the foster child in the book Betrayed when I had yet to read it.